This sculpture, located on the corner of Bank St and Spark St (Ottawa,ON), was created by Sorel Etrog, a Romanian-Canadian artist, writer and philosopher. 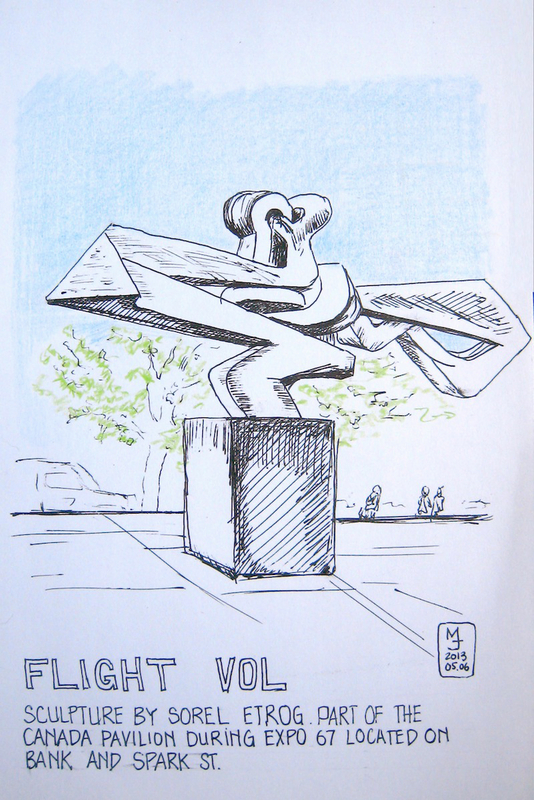 Named "Flight Vol", it is made out of bronze and was part of the Canadian Pavilion during Expo 67 held in Montreal. It caught my eye as I was walking with Newton the other day. It's a very abstract and interesting sculpture to draw. To me it evoque the embrace of a couple.